Dress Up Your Indoor Garden! Blame it on social media—Pinterest and Instagram to be specific—but plants are suddenly the trendiest necessity in home decor. We’ve always known they have the ability to brighten and cheer up any room (and they have health benefits, too) but now we want plants as much for how they look as for how many likes they might inspire. Consider the fiddle leaf fig, for example. An adult tree can cost you more than $300, and they’re the star of editorial home features in Domino, Architectural Digest and more. If you have the patience and the perseverance to care for one, you can pick up a young fiddle leaf from Home Depot for about $35. 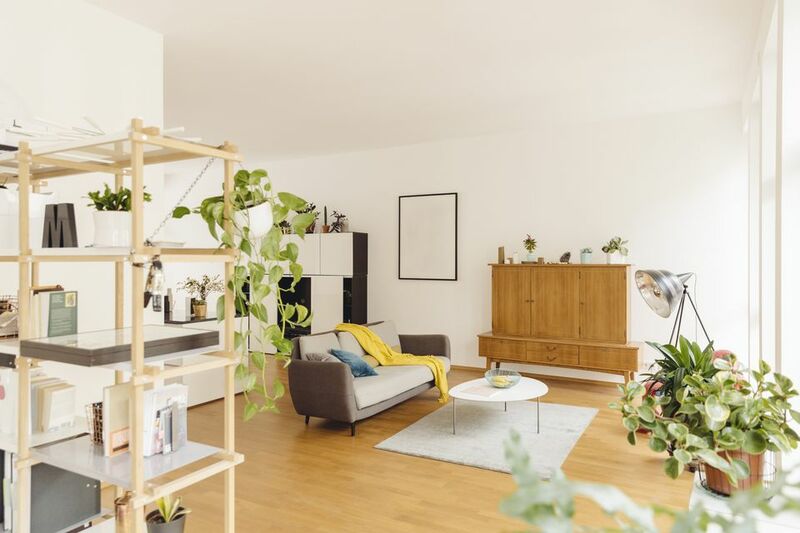 Millennials especially are driving the popularity of photo-worthy houseplants, and unsurprisingly, their favorites are greenery that’s fairly “low maintenance.” Plants like succulents and palms that don’t need tons of water and can survive in low light are the most sought-after. And rather than just set their plants on the table—design-savvy people of all ages are putting plants… Everywhere! Hanging planters (so 70s) are back, and many brands have an array of planters meant to be mounted to the wall and/or displayed in clusters. Whether you’re looking for a series of succulents to line your little windowsill or a basket that can hold a full-grown Ficus tree, we found stylish planters that will allow your favorite florals, trees, palms and plants to add some serious design cred to indoor garden. The downside to most self-watering planters is that they tend to be a little, um, design challenged. This sleek option from IKEA is stylish enough to display front and center and is perfect for busy indoor gardeners who occasionally forget to tend to their greenery. A glass terrarium will allow you to cultivate your own tiny desert oasis at home. We love metallic home accents in all their forms, and a small gold planter like this will give any succulent a touch of glamour on your windowsill. Not to play favorites—but this wall planter might be the vessel we covet most. The geometric shape and clean design can complement nearly any room’s aesthetic, from eclectic boho rooms to sleek, ultra-modern spaces. We’d plant Donkey's Tail or a vine that would cascade out of the vessel. Whether you want to grow your own herbs at home or just want to put a little whimsy in your potted plant game, this wall-mounted planter from Urban Outfitters is a creative and more sophisticated alternative to just throwing another poster up on the wall. For larger plants (and bigger rooms), try a cool mid-century-inspired planter on a sleek stand. More metallics! This hanging trio planter is unlike anything we’ve ever seen. Fill it with herbs and hang it in your kitchen, or let some vines dangle in your living room. No green thumb? A few air plants would be at home here as well. Get a little wild with your home decor and hang one (or all three) of these animal head planters in an unexpected place, like your entryway. For the natural, boho-inspired home, these wooden planters would make an inspired touch. These playful planters from West Elm (one with the face of a toucan!) would make a great housewarming gift or the perfect eclectic touch in your modern den or patio. We say more is more when it comes to indoor plants! This affordable standing planter from IKEA can hold three plants and hardly takes up any space. The 70s are back again with this double hanging planter from Urban Outfitters. Hang this vessel near your sliding glass door to allow maximum light and fresh air for your plants. For a quick update that will change up the look of a room completely, try one of these hanging planters which feature delicate, lace-inspired trim. This small textured planter is the perfect accent for a mix-and-match eclectic design aesthetic. Millennial pink is one of the trendiest colors in both fashion and home design now, and you can try out just a touch of it with these crazy-affordable little planters from IKEA. Take a cue from the way Anthropologie has styled this array of metallic planters—they look amazing clustered together in a variety of sizes. This stand planter has a bit of a global vibe, and would look lovely with a tangle of pothos vine trailing down the side. Bring a touch of greenery to your home office with these geometric planters that don’t take up a ton of space and could also be used to hold knick-knacks like scissors, pens, pencils and other office supplies. Make a mini garden in a clam shell.